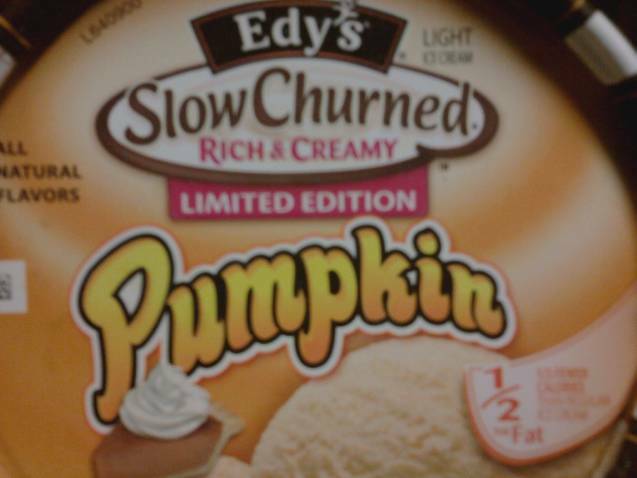 Edy’s Pumpkin Ice Cream is DELICIOUS! 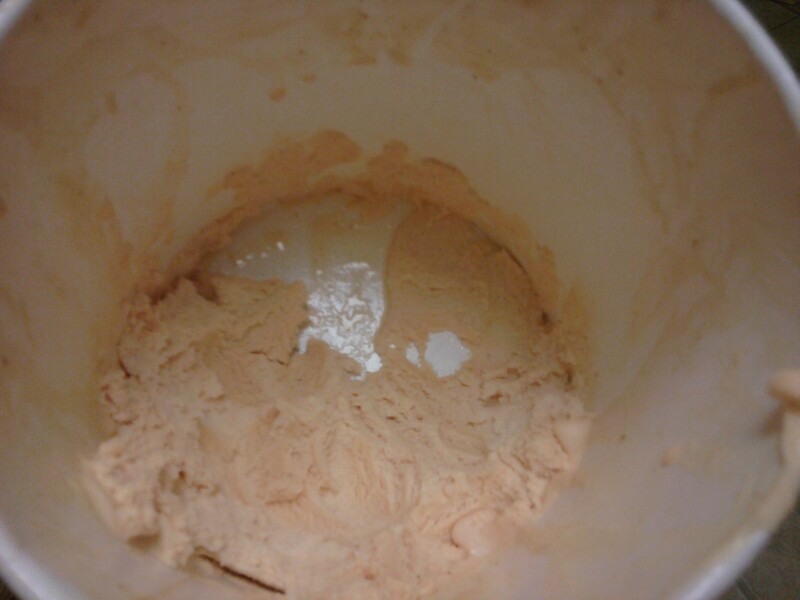 I just finished the last bit of Pumpkin Spice ice cream from Edy’s. It’s indeed a sad, sad day. You may be asking why. I have a bit of an obsession with pumpkin. I love almost anything with pumpkin in it; Pumpkin pie, pumpkin spice latte, pumpkin mousse pie, pumpkin bread, pumpkin spiced cake, coffee with pumpkin spice sprinkled on top of whipped cream — the list can literally go on and on. The day before Thanksgiving, crazy me, went into Stop and Shop to get some last-minute items before the big feast. As I was walking past the ice cream isle, I saw the word pumpkin and Edy’s. I got up close and personal to the glass and stared at the Edy’s container and saw that they only had two containers left of Pumpkin ice cream. I had to buy one but it wasn’t on sale. Stop and Shop wanted $4.99. I thought about it for a second and then opened the door to grab one. I was smiling. I bet people were looking at me like I was crazy but I didnt care. I knew I was in for a treat. Little did I know I was in for a bigger treat when the cashier scanned the ice cream and I saw that it was on sale for 3 bucks! YES!! Score! When I got home, I could not wait til the big feast. I had to dig in. I grabbed my spoon and took a big scoop. The flavors of the spicy nutmeg, cinnamon and ginger were oh so perfect together. Edy’s created THE perfect pumpkin-spiced ice cream. It’s like eating a slice of frozen pumpkin pie that you can indulge in and not feel any bit of guilty pleasure. With only 110 calories per half cup, it’s definitely low in calories compared to regular ice cream. Do you know how many calories are in a slice of pumpkin pie? Yeah, you don’t want to know but I’ll tell you anyway. It’s close to 400 calories a slice! That’s insane! I’ll take Edy’s Pumpkin ice cream any day and any time! I’m hoping Edy’s will sell Pumpkin ice cream all year round. It’s that delicious! If you go ga-ga over pumpkin pie, you’ll go CRAZY over Edy’s Pumpkin ice cream. Disclosure: This is NOT a sponsored post nor does Edy’s know how much I love their Pumpkin Ice Cream. 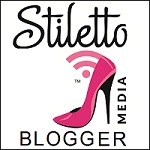 I just had to rave about it on my blog to let everyone know how good it is. I love Edy’s never had pumpkin ice cream hmm have to try that one! I love pumpkin anything — yum! MMM, looks good. I absolutely love ice cream and somehow missed this one. I’ll have to see if it’s still available in the stores. I saw it at Stop and Shop. I guess those were leftovers from the Thanksgiving batch. I hope you find some. Pumpkin ice cream is delicious. Your right. Especially this holiday season.